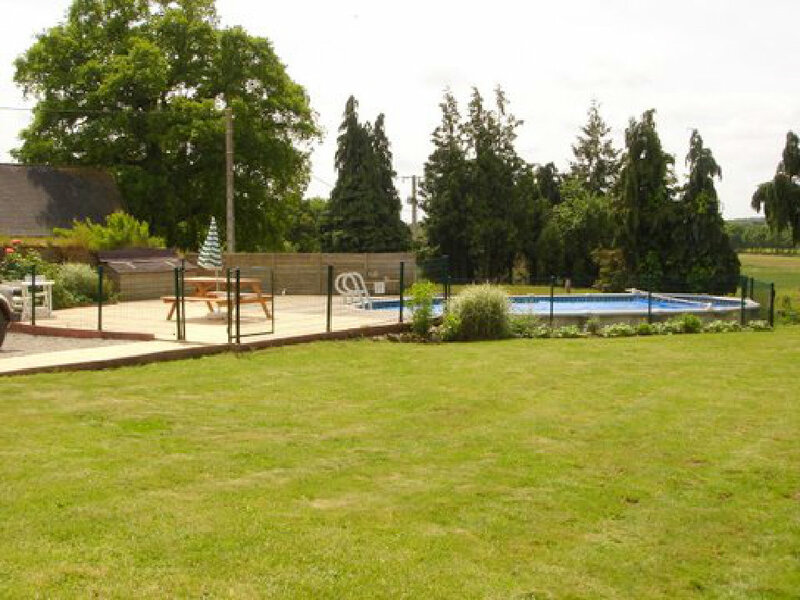 Le Cocquelicot sleeps 5 with shared heated pool, which is decked and fenced securely. 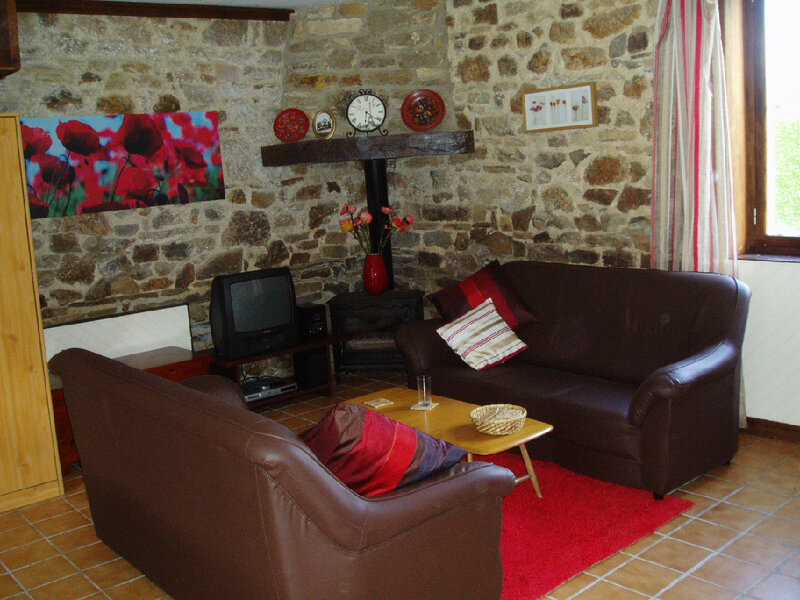 The cottage is built from Brittany stone with beamed ceilings and inglenook fireplaces these lovely cottages sit side by side, have a swimming pool shared between Marguerite (6) & Lavande (8). 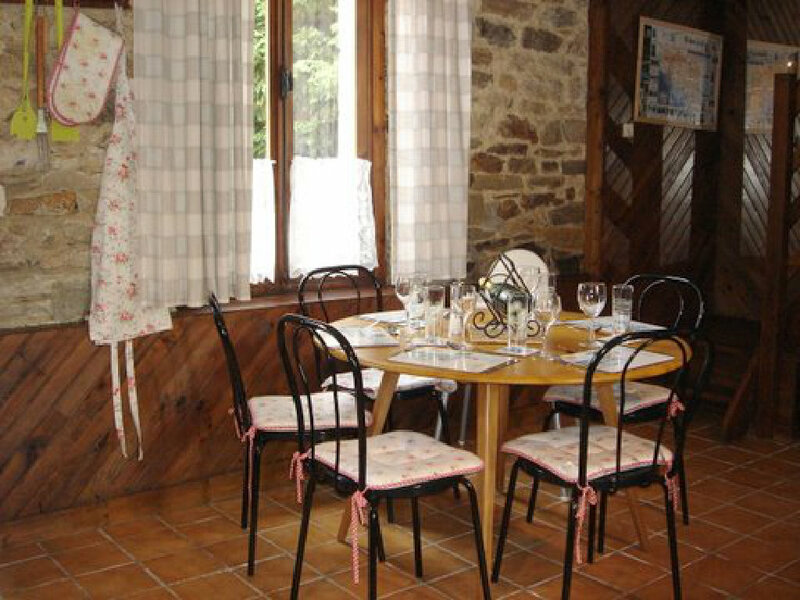 The property is perfectly situated in the small hamlet of Garcelmont. The lounge has Video and a DVD player, TV with Sky Free view, a large open plan ground floor incorporating lounge and dining area with wood burning stove and fitted kitchen. Flat screen TV & WiFi. 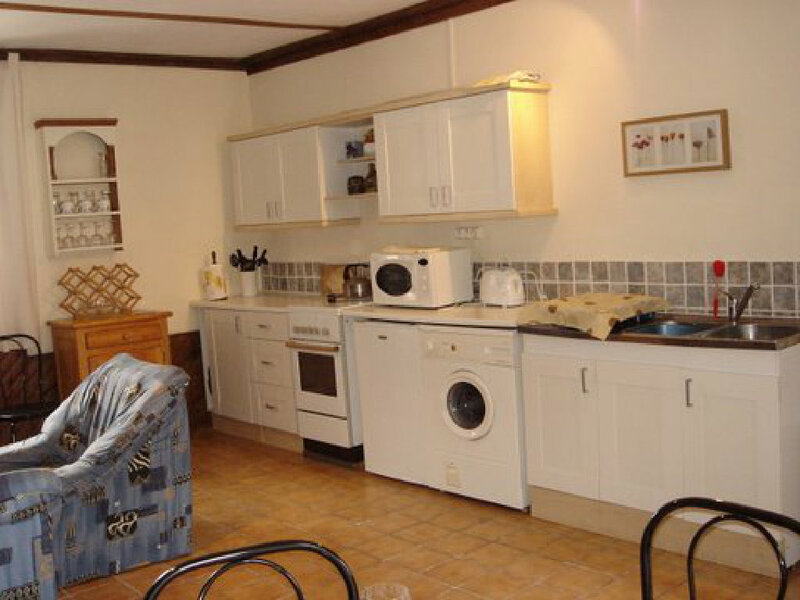 In the kitchen there is a washing machine, a fridge and a microwave. 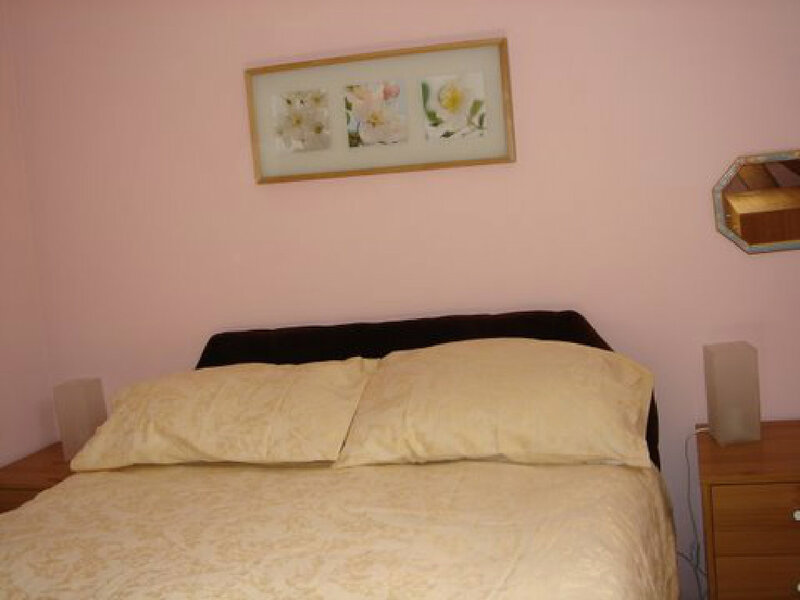 There are three bedrooms in Cocquelicot - two doubles and one single. Bed linen is supplied but you will need your own towels. Outside there is a patio area with furniture, parasol and BBQ. Garcelmont is on the D2 between La Trinite Pohoet and Mahon just a one hour drive from St Malo. The surrounding countryside is perfect for walks and cycling through fields and chestnut woods. The large town of Josselin is 15 minutes drive and is a medieval town dominated by the chateau built on the banks of the river. Josselin is full of restaurants and bars. A real local Saturday market is not to be missed. Josselin has a wonderful Brittany atmosphere, river walks, canoeing and boating. 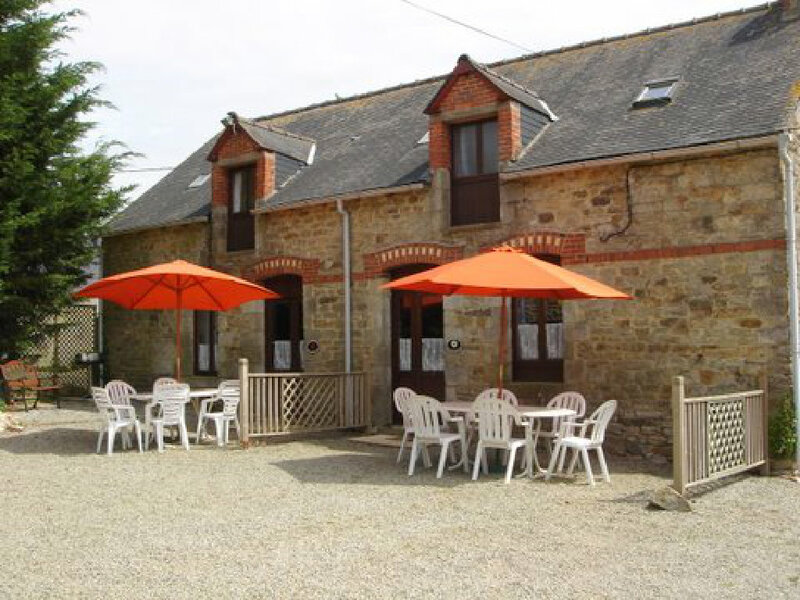 La Trinite Pohoet (2 miles from Garcelmont) is the nearest village and shops which include a wonderful patisserie (open 6 days a week for superb pastries and breads) supermarket, chemist, bank and a bar. The village is famous for its wonderful disproportionately large old church and has a local tourist office where you can find all the information needed to make the most of your stay. Local restaurants are mostly very Breton in character with excellent plentiful and reasonable food. Children love La Trinite’s own small lake with bathing area and lakeside walks. The lakes at Ploemel are a 10 minute drive. These lakes provide real and gently shelving beach facilities for young children. There are sandy beaches with plenty of room for sand castles, and grass areas under the trees to watch the children play on the sand and in the water. The lakes also provide windsurfing, waterskiing, pedalos, sailing, and fishing with very reasonable hire rates for all equipment.